Columbia Concentrates approached us when they were just starting out as the first concentrate company in Benton County. We designed their first logo upon conception, their improved logo once their brand became more prominent and needed to cover more ground, and we've been designing their product line packaging ever since. Columbia Concentrates is now one of the most notable companies in the state of Washington, winning the Best Concentrate Award in 2016. "Working with Dom and the Hero Creative team has been nothing but pleasant. They played a crucial role in the revival and success of the Columbia Concentrates brand, and have provided exceptionally stellar service along the way. Hero Creative has been a huge asset to our company, and we can’t thank them enough for all they have done." 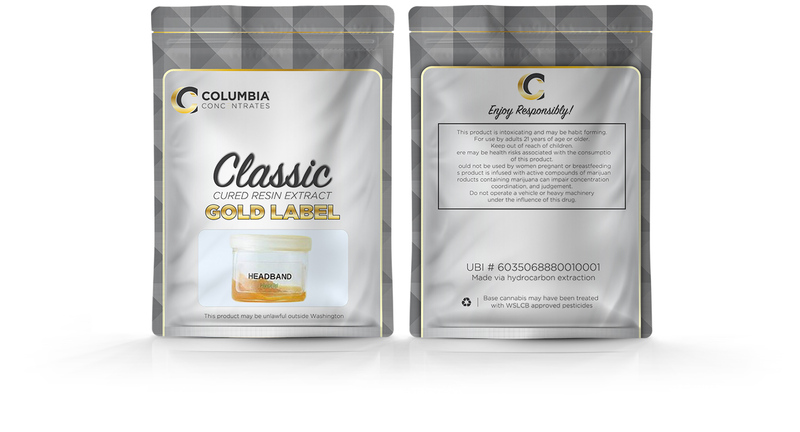 Columbia Concentrates needed a brand that spoke to their consumers. By engaging with our agency, we helped produce the brand that is present in today's cannabis market. Working with a client who grows with us is one of our favorite types of client relationships. We value having Columbia Concentrates in our portfolio as a successful example of having an appreciation for branding and carrying it through the lifetime of a product. "Hero Creative has been a pleasure to work with. They've helped us create our entire brand and multiple packaging designs for our company. These guys really listen to the needs of their clients and provide great customer service from start to finish. 10/10 would recommend!!!"